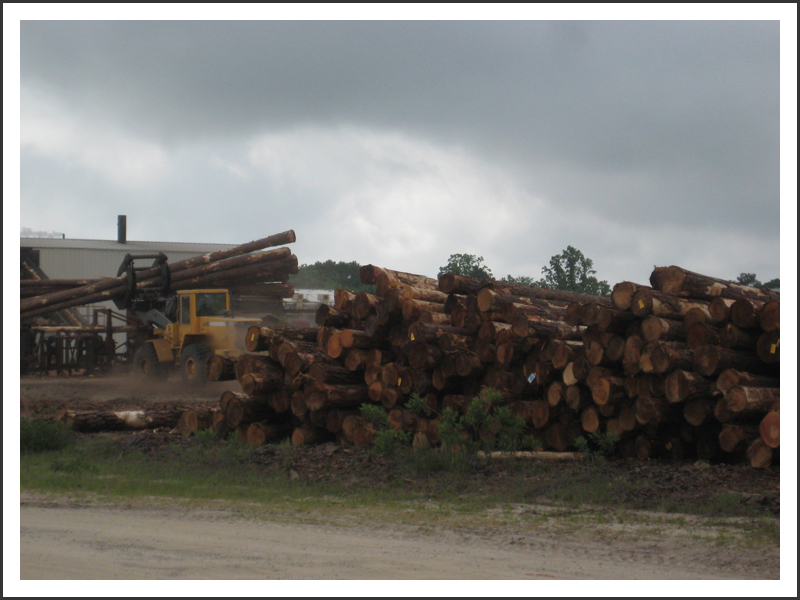 Beach Timber Company, Inc. in Alma, GA is a white untreated pole mill. Welcome to Beach Timber Company, Inc.
Beach Timber Company, Inc. in Alma, GA is a white (untreated) pole mill, currently producing Southern yellow pine utility poles and piling. We also produce a variety of landscaping mulch products including cypress mulch, colored mulch and pine mulch. For more than 25 years, our emphasis has been on producing and supplying the highest quality products to customers anywhere in the world. Our site facilities include pole and piling mill, 2 dry kilns, a mulch manufacturing operation, a wood procurement division, an office and a meeting space. We manufacture top-notch dock piling, utility poles and landscaping mulch at our pole mill. Products are loaded, weighed and recorded on site at our scale window and can be shipped via truck or rail. Beach Timber Company, Inc. can also load containers for shipment to various ports. We currently work with CSX and Norfolk Southern when rail distribution is needed. Our employees pride themselves on efficient and timely distribution of products by trucking, rail or container shipping. The success of our long-standing business lies in our outstanding customer service. Call Beach Timber Company, Inc. to learn more about our products and services.